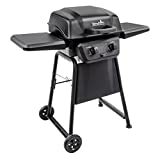 It features a 0-20 PSI adjustable high pressure propane regulator with 4ft hose and can be installed quickly and easily to propane tanks and cylinders. The size of a 3/8 flare nut is 5/8 in order to accommodate for the flare seat. * The DozyAnt high pressure propane regulator with hose is designed to be used with high pressure propane burners. 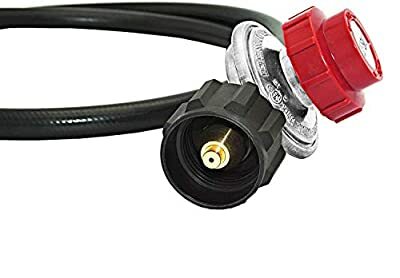 * There are two connections - One side works on a standard size propane tank cylinder fitting. The other side is installed on the burners/heaters/stoves/fire pit tables, burners and more. 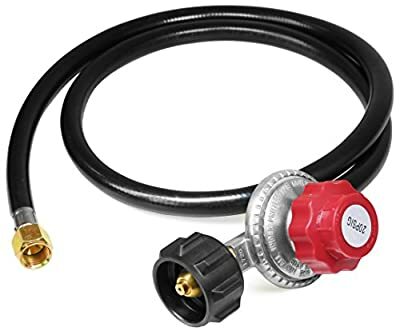 * This propane hose with regulator has excess flow protection and will automatically shut off. Protect you from danger! 1. 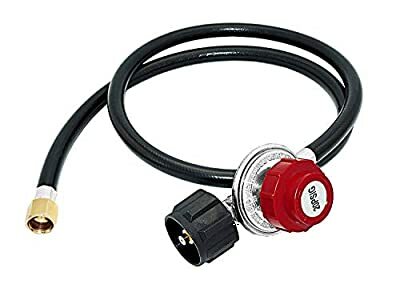 No matter where you will use this hose, Please confirm that your propane appliance has a female 3/8 inch flare connector or find some propane adapters and fittings to match your propane appliances and this hose so that you can use it, and avoid wasting your money and time! 2. 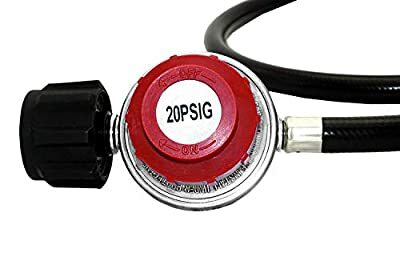 In order to use this product more safely, please adjust the regulator to 0 PSI (Off the regulator) firstly before you use. Fits QCC1/Type1 LP gas propane tanks and cylinders and 3/8-inch female flare connection. 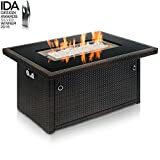 Great for BBQ, camping, tailgate party, heating needs or having a patio/camping outdoor cookout. 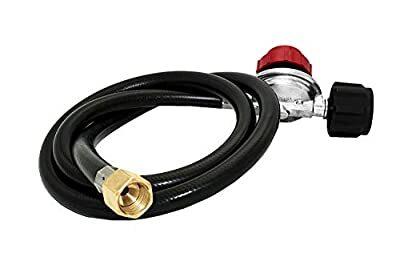 Adjustable 0-20 PSI high pressure output propane regulator with 4 feet hose is a must have item for your propane burners, turkey fryers, heaters, smokers and all other propane appliances. 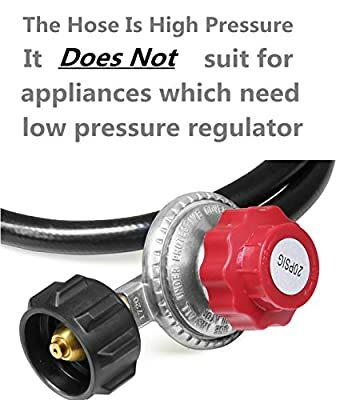 Not suitable for appliances which need low pressure regulator. High quality this product itself with CSA certification and excellent sealing quality is promised for your safety. This propane regulator with hose has excess flow protection for your safety and will automatically shut off. 100% solid brass corrosion resistant construction fitting, and provides secure, airtight connection between propane tanks cylinders and propane gas appliances. No tools needed, easy and quick attachment for easier installation.